I am pleased to announce that my most recent book is now available, both in print form and as a Kindle from Amazon.com. 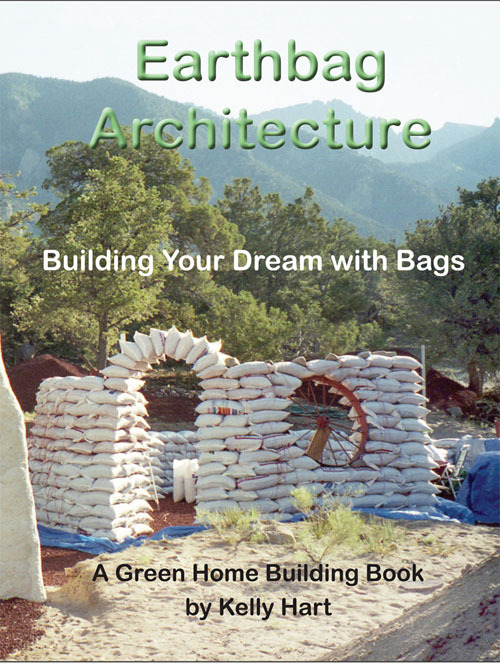 Earthbag Architecture: Building Your Dream with Bags is the story of my involvement with earthbags over nearly two decades. I spent much of this winter resurrecting memories of the earthbag projects that I have completed and sorting through a multitude of photographs. Some 240 of these full color images grace the pages of this informative book. Owen Geiger kindly wrote the Foreword for this book where he emphasizes some of the many innovative improvements in earthbag building techniques that he has noticed since the concept was initially promoted. To make the reader fully aware of what earthbag building is all about, I introduce some of the history and then provide a description of all of the basic steps that need to be understood to actually build something this way. I also write about the advantages of earthbag building and why someone should choose this technique. The bulk of this book is a detailed description of just how I went about building the various earthbag projects that served as my laboratory for learning and experimenting. Earthbag building is not an established science; it is an evolving body of concepts and trials that hopefully will lead us to improvements and established techniques that we know will work. Because of the experimental nature of this way of building, I have included several of my failures along with my successes, since it is all informative. I chronicle the three year process of building my first earthbag house, including the small trial dome and all of the other domed or vaulted spaces that were eventually combined for this unique domicile. On the same property I also built a hybrid earthbag/steel vaulted Carriage House and a small earthbag dam for a pond. Other projects include an earthbag amphitheater, a demonstration dome in Mexico, a prototype vertical walled house in Mexico, a large recessed pantry, and a small dome that was completely buried underground. 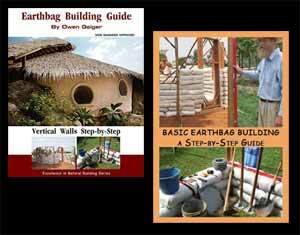 A lengthy section of the book is devoted to describing 64 different earthbag projects from around the world. These are all pictured so that you can get a visual impression of the amazing range of possibilities that are out there. The final chapter speculates about the future of earthbag building, outlining the reasons why I think that this way of building will only become more popular over time. Glad to see the book is finally available. I read it a few months ago and really enjoyed it. There are now four new earthbag books on the market — my new house plans, this book from Kelly and two other new books that will be on our blog soon. Kelly – The cover ROCKS! I’m going to order a copy today. Thanks for your contribution to to bringing this technology to the conscious awareness of our global population.